Network audit is a highly customized service to cater to customers who want to get their IT network assessed for design, scalability and security. IT networks keep on changing based on business needs. It is often found that various changes performed by multiple technical teams usually lead to vulnerabilities from cyber security standpoint. It is advised to conduct network security audit occasionally to ensure network health. Upon completion of such an audit, the firm gains stable, scalable and secure IT network infrastructure. Regularly scheduled network vulnerability scanning can help an organization identify weaknesses or security holes in their network security before the hackers can plant an attack. The purpose of running a vulnerability scanner or conducting an external vulnerability assessments (VAPT or Pentesting) is to find network devices that are open to known vulnerabilities without actually compromising your systems. While performing a vulnerability scan is an excellent start, the real value emerges from implementing a process for addressing the identified vulnerabilities. Risk Based Security not only conducts the assessments using the latest in scanning technology we assure that each vulnerability noted is addressed with easy to understand mitigation action recommendations. Conducting periodic vulnerability scans is the perfect complement to performing regular antivirus updates and applying the necessary and important security patches for any new critical vulnerability discovered. Quarterly vulnerability scanning goes a long way to helping your organization make sure you discover and mitigate any weaknesses on your network before they can be exploited. An assessment of your network security will make sure that the business you conduct and the data you store remains strictly between you and your customers, without the threat of third party breaching, data loss or malware. The Network Vulnerability Assessment and Penetration Testing (VAPT), is an assessment procedure conducted by security experts on your network to identify possible vulnerabilities that attackers may exploit. VAPT auditors utilizes proven and standard assessment methodologies, consulting and project management methodologies to deliver accurate and timely results for your organization’s IT department.With our Network VAPT capabilities, it allows you to manage a prioritized list of identified vulnerabilities in your network and understand how to fix them so that you are ensured to be one step ahead of possible attackers. We provide you with actionable recommendations to ensure complete remediation. Most businesses rely on collaboration between representatives from their internal business units, legal teams and finance departments to coordinate with IT professionals regarding their exact network needs. They have to take into account issues such as client or customer privacy, regulatory compliance, business processes and competitive positioning within their industry. Identify which of these are sensitive and what information is at risk during the threat of a privacy breach. This is especially important if there is cloud-based access to private data or access across multiple platforms, including smartphones and tablets. These servers may not be protected and may allow access to sensitive information without you knowing it. Your network protection may already include specific policies, firewalls, virus detection, VPNs, disaster recovery and encryption. It’s important to understand the capabilities of your current security measures in order to properly address any vulnerabilities. The results of this scan will give you confirmation of your network’s security. Should a virus or vulnerable area be identified, you will need to develop a network security strategy, possibly with the help of an MSP. From a corporate network security perspective, the focus of threats to the company security is changing, with the implementation of strong perimeter defence solutions. These include firewalls, Intrusion Detection Systems, content filtering and two-factor authentication as increasingly more breaches are occurring from within the company. Many companies are now finding out that their internal security is being increasingly compromised by the numerous and rapidly growing number of simple methods that enable legitimate users to create a back door into the company network. These methods, which can be downloaded from the Internet and then ran to circumvent all of the existing gateway security products, pose as great a threat as attacks from outside the corporate network. The Gartner Group recently estimated that more than 80 per cent of breaches to a company’s security information originate from within the company. The potential damage from such threats varies from the loss of sensitive information to complete network shutdown. This is only going to get worse as more and more exploits are made readily available on the internet for anyone to download. A Network Vulnerability Assessment can allow companies to effectively manage these threats through a validation of their existing security policy (if available), by measuring the strength of the Network Vulnerability Assessment. Through the understanding of the threats and performing a programme of assessment of network level vulnerabilities, a company can provide evidence to regulators, customers and partners that they are effectively managing the risk that their corporate applications, services and interconnected systems pose. It is therefore paramount for a company to consistently and proactively track and fix any vulnerabilities which are found in their network as soon as possible. When most networks are attacked, weaknesses were exploited when patches were already available or obvious misconfigurations went unnoticed. With the right kind of vulnerability management solution and processes in place, weaknesses in a network can be found, brought to attention and shored up. A penetration test, also known as a pen test, is an authorized simulated attack on a computer system that looks for security weaknesses, potentially gaining access to the system's features and data. Following steps typically form the penetration testing. The primary objective for a network penetration test is to identify exploitable vulnerabilities in networks, systems, hosts and network devices (ie: routers, switches) before hackers are able to discover and exploit them. Network penetration testing will reveal real-world opportunities for hackers to be able to compromise systems and networks in such a way that allows for unauthorized access to sensitive data or even take-over systems for malicious/non-business purposes. Penetration testing is also commonly referred to as a pen test (or ethical hacking) and is a method used to perform security testing on a network system used by a business or other organisation. Pen tests involve a variety of methodologies designed to explore a network to identify potential vulnerabilities and test to ensure the vulnerabilities are real. When penetration testing is performed properly, the results allow network professionals to make recommendations for fixing problems within the network that were discovered during the pen test. 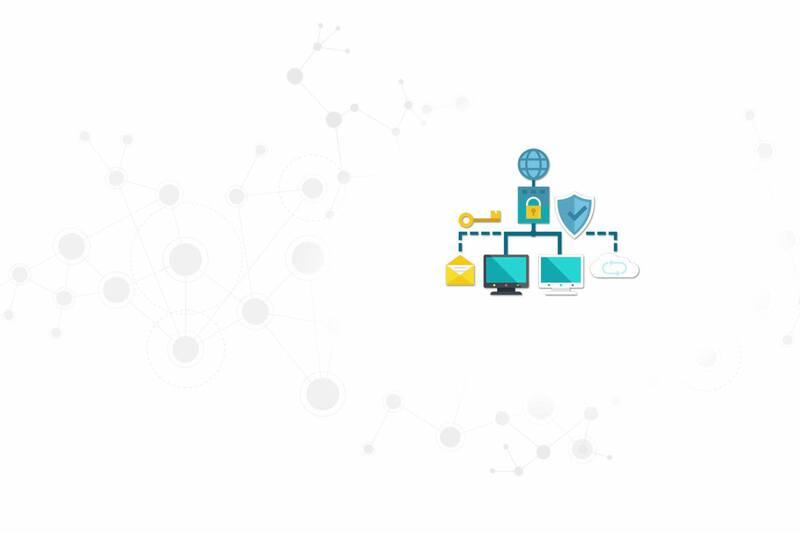 The main purpose of the pen test is to improve network security and provide protection for the entire network and connected devices against future attacks. Penetration testing helps to identify vulnerabilities within a network. This means there is a distinct difference between penetration testing and performing a vulnerability assessment. The terms penetration testing and vulnerability assessment are often confused and used interchangeably when in reality, the two terms have separate meanings. A pen test involves methods used to perform legal exploits on a network to prove that a security issue actually exists. A vulnerability assessment refers to the process of evaluating network systems and the services they provide for potential security problems. Penetration tests are designed to go above and beyond a vulnerability assessment by performing a simulation of the same scenario a hacker would use to penetrate a network. During a pen test a vulnerability assessment is performed however, it is only one of several methodologies involved in a comprehensive penetration test. Penetration testing in simple terms is a simulation of a process a hacker would use to launch an attack on a business network, attached devices, network applications, or a business website. The purpose of the simulation is to identify security issues before hackers can locate them and perform an exploit. Pen tests identify and confirm actual security issues and report on the manner in which the security issues can be located and exploited by hackers. When performed consistently, a pen test process will inform your business where the weaknesses exist in your security model. This ensures your business can achieve a balance between maintaining the best network security possible and ensuring ongoing business functions in terms of possible security exploits. The results of a pen test can also assist your business with improved planning when it comes to business continuity and disaster recovery. Although pen tests simulate methods hackers would use to attack a network, the difference is the pen test is performed without malicious intent. For this reason, network professionals should have the appropriate authorisation from organisational management before proceeding to conduct a pen test on the network. Additionally, if the penetration test is not planned correctly and is lacking in components, the end result could be disruption of business continuity and daily operations. Pen test deliverables include a series of reports that reveal how security issues were identified and confirmed during the test to determine how the issues should be fixed. Once a penetration test has been completed, the report reveals a list of all network vulnerabilities that were discovered during the test. In most cases, the report will also provide recommendations on how to fix the issues. A typical penetration testing report will include a complete review of the project, the techniques and methodologies used during the test, security risk levels in order of priority, recommendations for fixing the issues, and suggestions for tightening up network security as a whole. There is also a report for presentation to management which explains in non-technical terms how the risks can affect business continuity and potential financial losses that can be incurred as the result of a breach. This part of the report may also include the IT investments which may be necessary to improve network security. The report is the tangible output of the testing process, and the only real evidence that a test actually took place. Chances are, senior management (who likely approved funding for the test) weren’t around when the testers came into the office, and even if they were, they probably didn’t pay a great deal of attention. So to them, the report is the only thing they have to go on when justifying the expense of the test. Having a penetration test performed isn’t like any other type of contract work. Once the contract is done there is no new system implemented, or no new pieces of code added to an application. Without the report, it’s very hard to explain to someone what exactly they’ve just paid for. While the exact audience of the report will vary depending on the organization, it’s safe to assume that it will be viewed by at least three types of people. Senior management, IT management and IT technical staff will all likely see the report, or at least part of it. All of these groups will want to get different snippets of information. here are some highly recommended sections to include in pen test reports. A Cover Sheet. This may seem obvious, but the details that should be included on the cover sheet can be less obvious. The name and logo of the testing company, as well as the name of the client should feature prominently. Any title given to the test such as “internal network scan” or “DMZ test” should also be up there, to avoid confusion when performing several tests for the same client. The date the test was performed should appear. If you perform the same tests on a quarterly basis this is very important, so that the client or the client’s auditor can tell whether or not their security posture is improving or getting worse over time. The cover sheet should also contain the document’s classification. Agree this with the client prior to testing; ask them how they want the document protectively marked. A penetration test report is a commercially sensitive document and both you and the client will want to handle it as such. The Executive Summary. I’ve seen some that have gone on for three or four pages and read more like a Jane Austen novel than an abbreviated version of the report’s juicy bits. This needs to be less than a page. Don’t mention any specific tools, technologies or techniques used, they simply don’t care. All they need to know is what you did, “we performed a penetration test of servers belonging to X application”, and what happened, “we found some security problems in one of the payment servers”. What needs to happen next and why “you should tell someone to fix these problems and get us in to re-test the payment server, if you don’t you won’t be PCI compliant and you may get a fine”. The last line of the executive summary should always be a conclusion that explicitly spells out whether or not the systems tested are secure or insecure, “overall we have found this system to be insecure”. It could even be just a single word. Summary of Vulnerabilities. Group the vulnerabilities on a single page so that at a glance an IT manager can tell how much work needs to be done. You could use fancy graphics like tables or charts to make it clearer – but don’t overdo it. Vulnerabilities can be grouped by category (e.g. software issue, network device configuration, password policy), severity or CVSS score –the possibilities are endless. Just find something that works well and is easy to understand.